Pennsylvania mother Jessica Battiato has been diagnosed with Ehlers-Danlos syndrome - a rare inherited connective tissue disorder which can cause brittle bones which may be easily broken. When she took her first-born son to the doctor more than a year ago for a swollen leg, she was shocked to learn that he had 18 to 20 fractures in his body. Cesar was seized by child protective services. Since that time, experts have diagnosed him with Ehlers-Danlos syndrome, low vitamin D, and infantile rickets. However, after more than a year, the state has still not released Cesar back to his parents. In April, Jessica gave birth to another baby. Jessica hid her pregnancy from Berks County social workers out of fear that they would take her baby from her as soon as he was born. This fear appears justified, as social workers around the country often seize babies, even breastfeeding babies, right from the hospital, especially if another child in the family is already in the system. Jessica was afraid, so she sought prenatal care and gave birth on April 27 in another county. She and the boys' father Cosme were able to bond and spend those very important early weeks bonding together. Then, when baby Julius was 7 weeks old, Jessica says that she applied for Medicaid for him. That was when their family time ended. 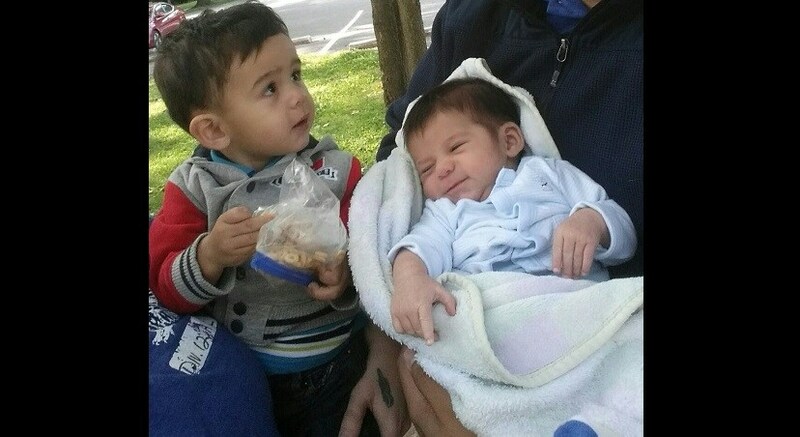 Their new baby was taken by Berks County Children and Family Services, and the parents Jessica Battiato and Cosme Aviles are once again being accused of child abuse. We need to stop saying that Ehlers Danlos Type 3 is "rare." That wrong thinking is contributing to kids being wrongfully taken from their parents! No fault of this article's author, just a false belief in general. I have EDS 3 and was diagnosed as an adult, but should have been diagnosed at a much younger age. This condition is not rare, it is underdiagnosed. Since I was diagnosed, I have seen numerous stories of people who have this condition, and I often see the signs of this condition in the general public; In people who have no idea that they have it. It is common, not rare. Somehow this fallacy needs to end and families need to stop being torn apart because of it!